The author of this page will appreciate comments, corrections and imagery related to the subject. Please contact Anatoly Zak. Site news | Site map | About this site | About the author | Testimonials | Mailbox | ADVERTISE! | DONATE! 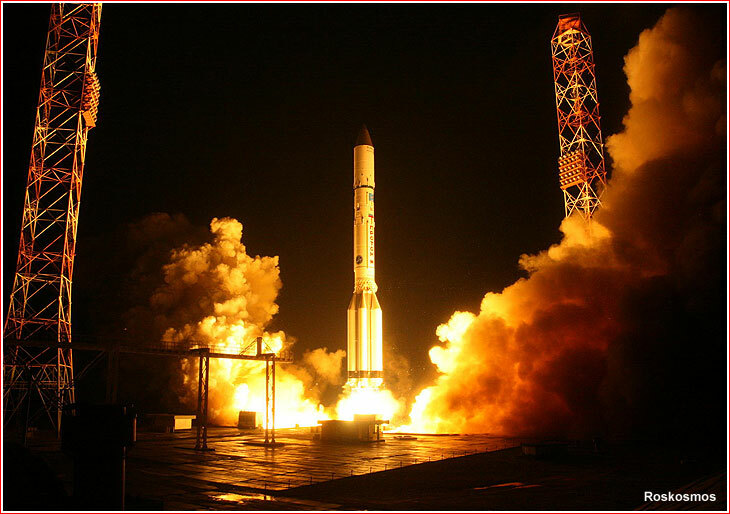 Concluding Russia's orbital launch attempts of 2015, a Proton rocket successfully launched Russia's latest communications satellite into geostationary orbit. The liftoff of the Ekspress-AMU1 satellite took place in early hours of Dec. 25, 2015, in Baikonur, Kazakhstan, after a 24-hour delay due to weather. The mission was the eight and final in Proton's tumultuous year. A Proton rocket with Ekspress-AMU1 lifts off on Dec. 25, 2015. From the publisher: Pace of our development depends primarily on the level of support from our readers! A Proton-M rocket with a Briz-M upper stage was originally scheduled to lift off on Dec. 24, 2015, at 00:30:50 Moscow Time (4:30 p.m. EST on December 23) from Pad 39 at Site 200 in Baikonur Cosmodrome, Kazakhstan, however it had to be postponed for 24 hours due to high winds in the upper atmosphere, the Russian space agency announced. 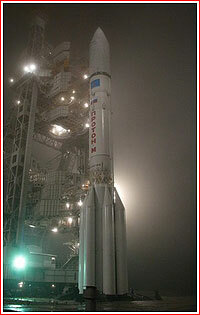 A live TV broadcast from the fog-drenched launch site was interrupted around 40 minutes before the scheduled liftoff. The new launch attempt was rescheduled for Dec. 25, 2015, at 00:31:19 Moscow Time (December 24: 21:31 UTC, 4:31 p.m. EST), however on the morning of the backup launch date the weather still looked iffy in Baikonur, as mission officials were preparing to review the status of the launch. Still, in the first half of the day on December 24, the State Commission overseeing the launch made a decision to proceed with the fueling of the launch vehicle for the second launch attempt. According to post-launch measurements, the liftoff took place as scheduled at 00:31:19.00 Moscow Time on December 25, 2015. 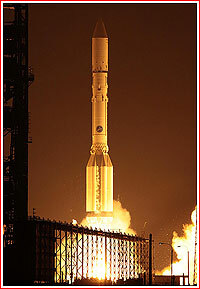 The launch vehicle carried the Ekspress-AMU1 satellite for the Russian operator Kosmicheskaya Svyaz. A total mass of the payload section including the satellite and the Briz-M upper stage was 28,130 kilograms during this flight. The mission to deliver Ekspress-AMU1 followed a standard flight profile, featuring five firings of the Briz-M upper stage. Moments after a vertical liftoff from Baikonur, the first, second and third stages of the Proton-M rocket propelled the payload section, including the Briz-M stage and the satellite along an eastbound ascent trajectory from Baikonur, matching an orbital inclination of 51.5 degrees toward the Equator. The first stage was programmed to crash at drop zone No. 25/15 in Karaganda Region of Kazakhstan, the second stage was to follow into drop zone No. 327 in the Altai Region of Russia and third stage splashed down in the Pacific Ocean. 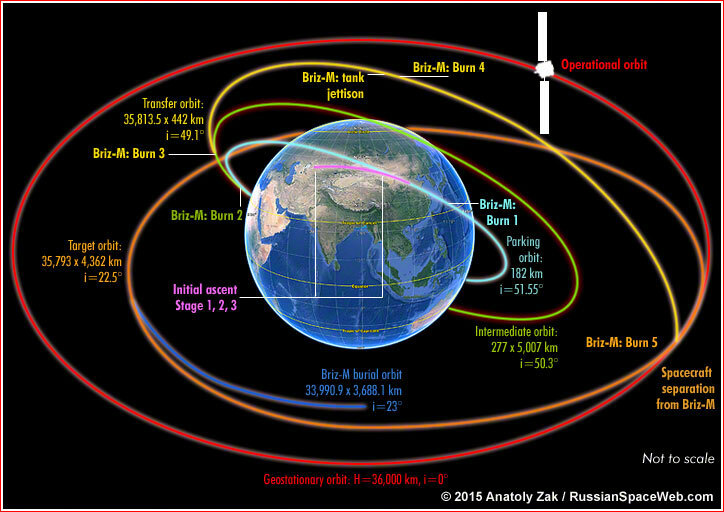 The payload section separated from the third stage on a suborbital trajectory, after which, Briz-M successfully fired its engine for the first time to reach a 182-kilometer parking orbit with an inclination 51.55 degrees toward the Equator. The second Briz-M's maneuver pushed the stack to an intermediate orbit, followed by the third and fourth firings to reach transfer orbits. As usual, the empty external tank of the Briz-M separated between the third and fourth maneuvers. 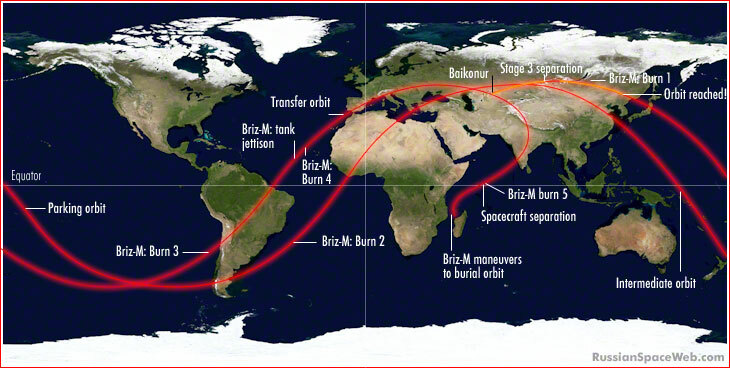 Once the payload section reached the apogee of the second transfer orbit, the Briz-M conducted the fifth and final engine firing to enter a geostationary transfer orbit. The stage then placed the spacecraft in the correct attitude before separation at 09:43 Moscow Time (1:43 a.m. EST) on December 24. Following the satellite release and an orbit-measurement session, Briz-M made two additional maneuvers to increase its distance from the satellite and to enable safe opening of its onboard valves to empty pressurized compartments. The procedure was designed to prevent a possible explosion and the resulting proliferation of space junk. Ekspress-AMU1 was expected to use its own propulsion system to reach its operational position at 36 degrees East longitude over the Equator by Jan. 3, 2016. 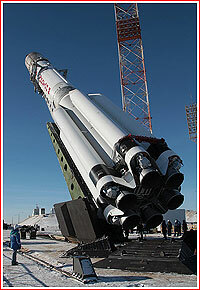 Ground track for Proton mission to deliver Ekspress-AMU1 satellite. Ekspress-AMU1 was built by the European consortium Airbus Defense and Space in Toulouse, France, for the Russian operator Kosmicheskaya Svyaz at a cost of 198 million euro. On Dec. 29, 2012, EADS Astrium (later Airbus Defense and Space) won a competition with Thales Alenia Space, MacDonald, Dettwiler and ISS Reshetnev in a bid for a contract from the Russian Satellite Communications Company, GPKS Kosmicheskaya Svyaz, to develop the Ekspress-AMU1 satellite, then scheduled for launch in the fourth quarter of 2015. 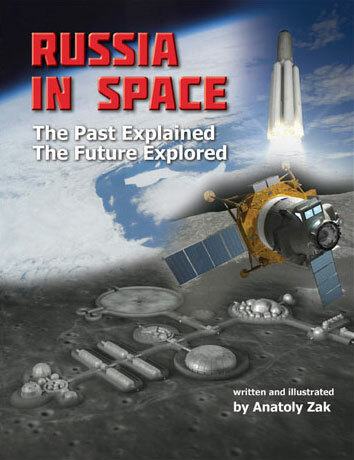 The winner promised to build the spacecraft in 26 months at a price tag of 6.35 billion rubles. Thales reportedly offered to build the satellite for 6.29 billion, but needed 33 months to do so. 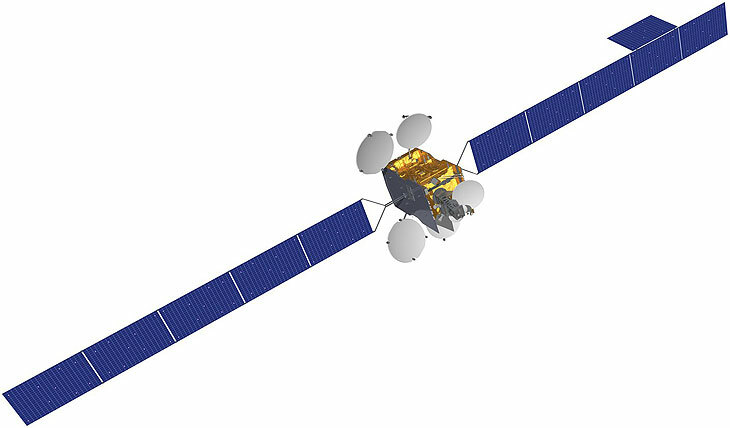 The GPKS tender commission included three members of European communications consortium Eutelsat, which planned to rent communications capacity onboard the future satellite. 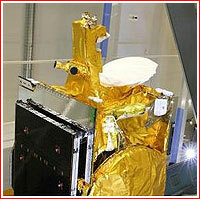 The company identified the same satellite as Eutelsat-36C. According to Airbus, the multi-beam Ka-band antennas onboard Ekspress-AMU1 feature a highly innovative feed array technology developed by the company. From its position at 36 degrees East longitude over Africa, Ekspress-AMU1 will be used to provide communications services such as high-definition TV and Internet across the European part of Russia in Ku and Ka bands. According to Eutelsat, the satellite will transform the broadcasting infrastructure at 36 degrees East into a broader system to support more television services and IP-based applications to match the development of Russia’s digital entertainment market. More than 11 million direct-to-home antennas in Russia are already pointed at this leading video neighborhood, subscribing to the premium NTV+ platform or to Tricolor, one of the world’s fastest-growing TV platforms, Eutelsat said. 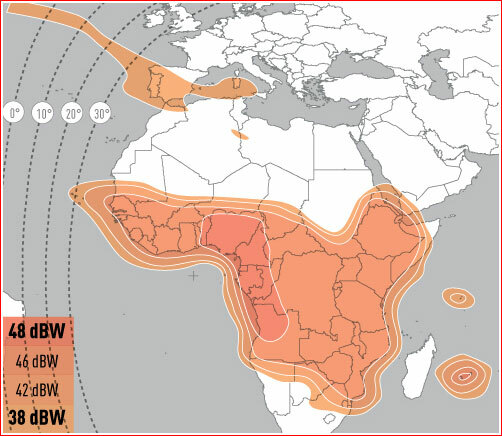 As Eutelsat-36C, the spacecraft will will also ensure service continuity and growth for broadcast markets developed by Eutelsat in sub-Saharan Africa. In the first half of 2015, the launch of Ekspress-AMU1 was planned in September or October 2015. 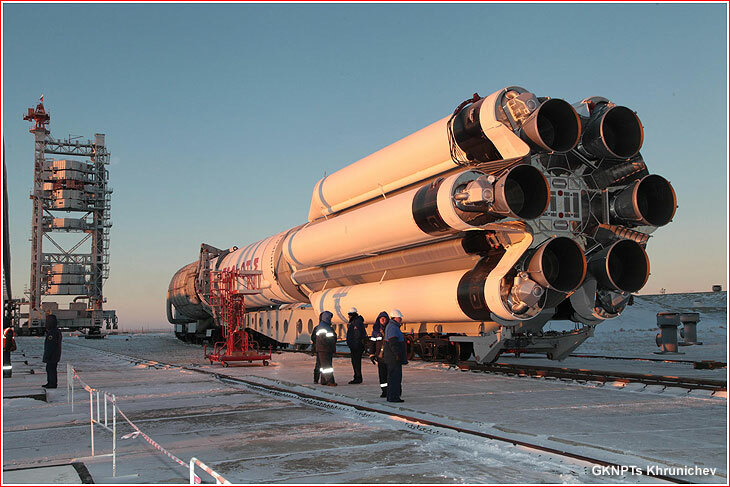 However the satellite arrived at Baikonur around Nov. 11, about a month and a half behind the original schedule. By mid-October, the launch was postponed until December 20. It was later re-scheduled for December 24. On December 18, the fully integrated launch vehicle with the satellite left its assembly building. After making a two-day stop at the outdoor fueling site, where the tanks of the Briz-M upper stage were loaded with hazardous propellant, the rocket reached the launch pad at Site 200 on December 20, 2015.